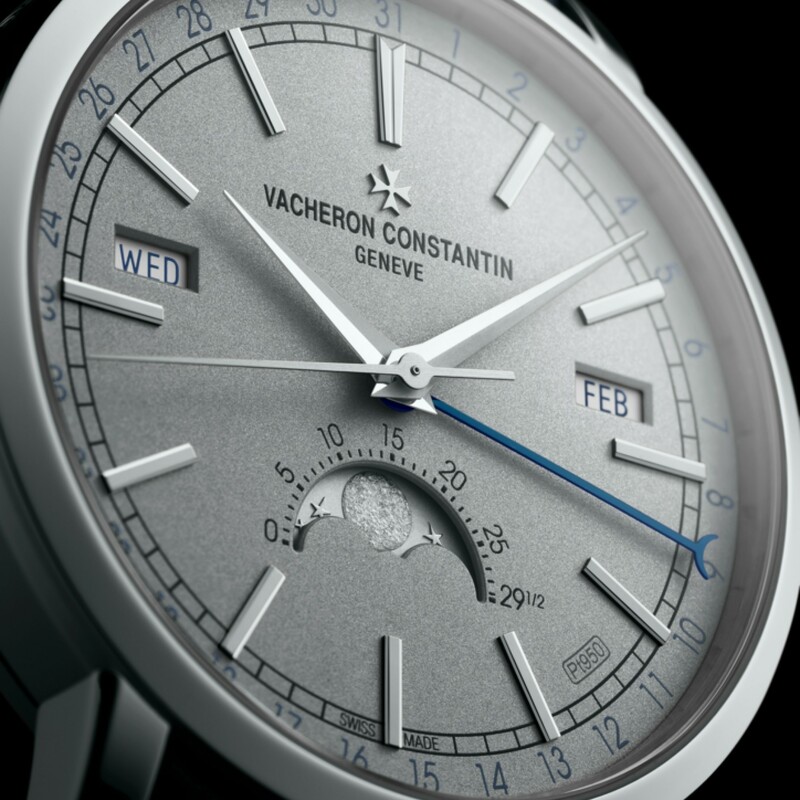 If you are looking for a calendar watch in 2018, Vacheron Constantin are making sure that they have yo covered. Hot on the heels of the announcement of the Historiques Triple Calendrier 1942 and Triple Calendrier 1948, which we covered here comes the latest additional to the Traditionelle collection, to be launched at the SIHH 2018. In terms of the calendar aspects, the limited edition (100 numbered pieces) Traditionelle Complete Calendar ‘Excellence Platine’ is functionally the same as the 1942 and 1948 Historiques – they all have a day of the week, day of the month, and month. However, in addition to the calendar, there is a moon phase indication at 6 o’clock. Powering this new watch is the automatic in-house Calibre 2460 QCL, with a 22 carat gold oscillating weight and a power reserve of forty hours. 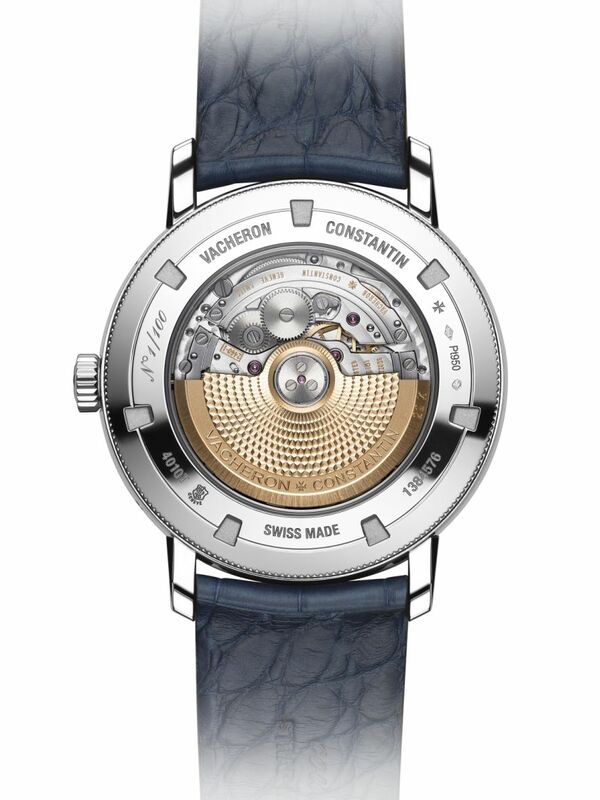 The “Excellence Platine” of the name refers, of course, to the platinum that forms the core of this watch. It is not only the 41mm case and crown that are platinum, but also the folding clasp, the moon phase and most centrally, the dial, which is made from a single plate of platinum that has been sand-blasted. If you look closely you will see a ‘Pt950’ between 4 and 5 o’clock. The dial layout is classical, but so is the design, with a railway track for minute markers, Dauphine hour and minute hands, and baton hour markers. In another point of similarity with the new Historiques Triple Calendrier, there are blue notes in the form of blue Arabic numerals for the date indicator hand. But that’s not all that is blue, nor all that is platinum. The alligator strap is dark blue, and its top stitching, also platinum. 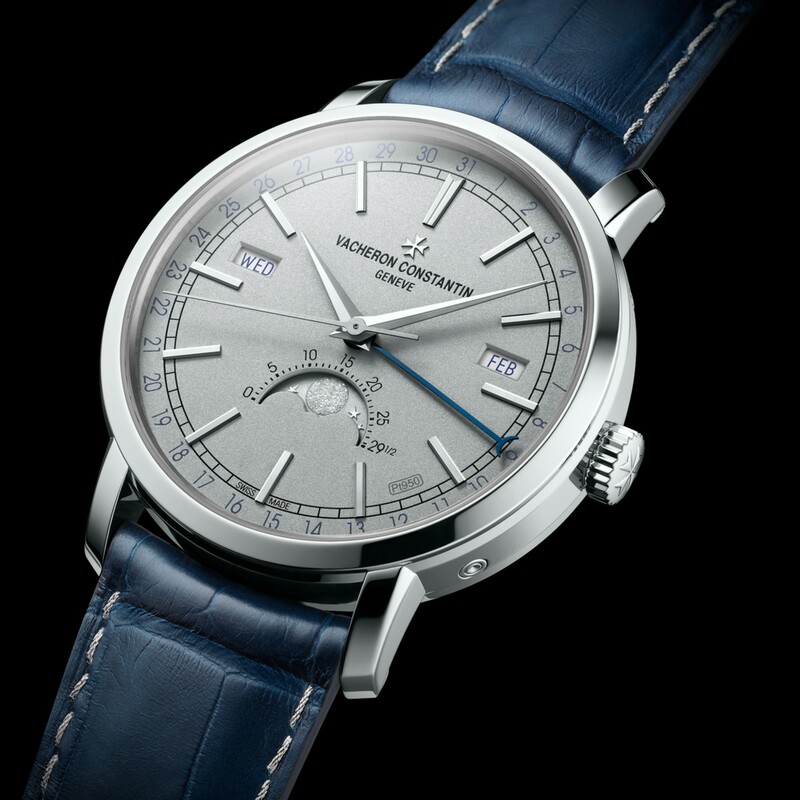 The new Vacheron Constantin Traditionnelle Complete Calendar will have an RRP of 69,000 EUR.